V času med 11. in 14. marcem se je na Kitajskem v Šangaju odvijala t. i. 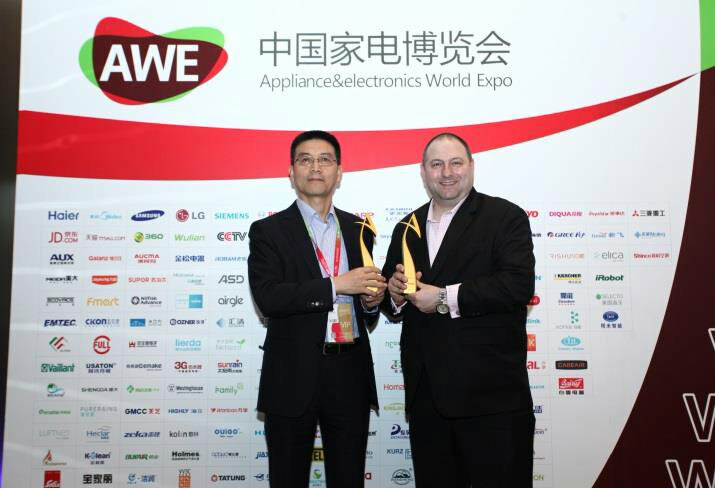 The Appliance & Eletronics World Expo (AWE) prireditev. Gre za eno večjih prireditev na Kitajskem, katera pod eno streho zbere več kot 550 razstavljalcev, kot so Panasonic, Samsung, LG in Ecovacs. Obisk prireditve je presegel 100.000 obiskovalcev, vključno z domačimi in tujimi mediji. Ker Kitajska predstavlja ogromno priložnosti za rast iRobota, je iRobot pisarna na Kitajskem, skupaj z ekipo, zadolžena za odnose in komunikacijo podjetja iRobot. Tako je skupaj s kitajskim distributerjem za program iRobot na prireditev povabila vse večje svetovne medijske hiše. Tri dni so vodilni člani ekipe iRobot predstavljali vse prednosti in uprabne lastnosti iRobot robotov. Medijsko pokritost s pripreditve lahko najdete spodaj, skupaj z linki do njihovih člankov, se pa osredotočajo predvsem na intervjuje z iRobot-ovim produktnim vodjem za APAC, Raymond Chong (Zhuang Jie), s katerim so govorili o robotih prikazanih na razstavnem prostoru, vključno z zadnjo serijo robota Roomba 880 in Braava 380T. The Home Expo will showcase the current iRobot Roomba robot sweeper series and Braava wipe series, the smart household cleaners that are helping people every day clean almost all types of floors. 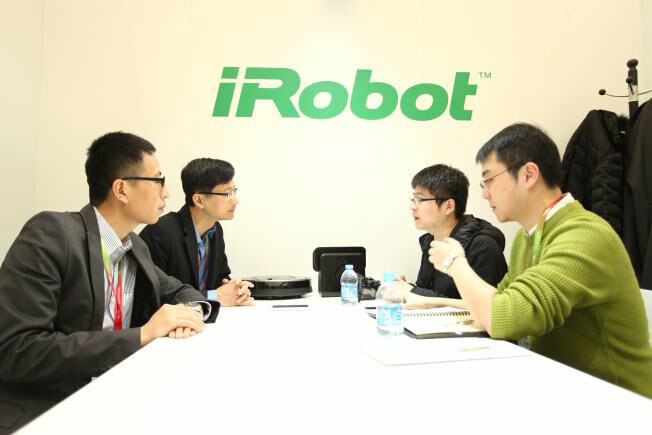 Walking through the cutting-edge technology of iRobot, its founding purpose is to allow the robot to make people’s lives more convenient and thus build a robot industry. 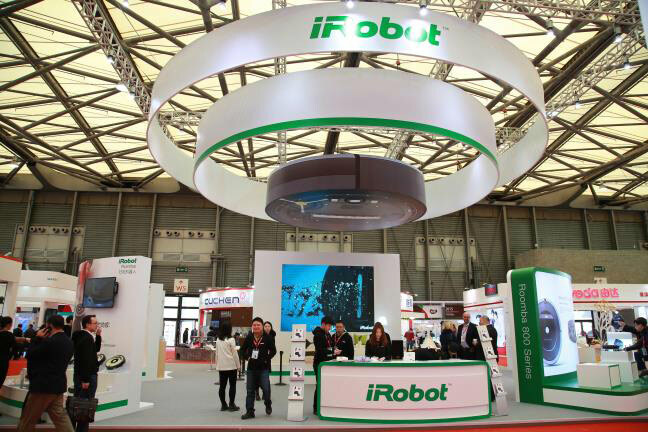 The global robotics industry leader and technology innovator, iRobot, will be carrying a full range of household cleaning robot products that will be showcased at the industry’s most prestigious and most widely influential comprehensive exhibition of home appliances. The latest member of the Roomba series – the Roomba 870 and 880 – were the booth’s most dazzling star this year. iRobot also attaches great importance to this opportunity to show at AWE. “This brings us to participate in AWE with our developed lines of products, including the 600 series, 700 series, and 800 series,” Raymond Chong told us. 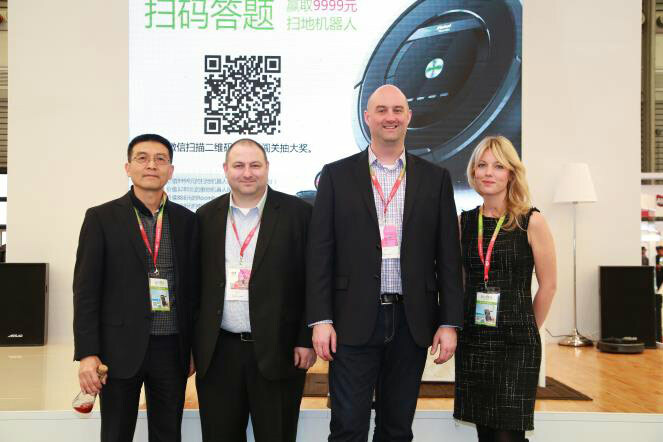 Richard Campbell, vice president of iRobot’s marketing and sales in Asia Pacific, said the iRobot company pioneered the household robots with their launch of the groundbreaking series of vacuum robots, Roomba, in 2002. 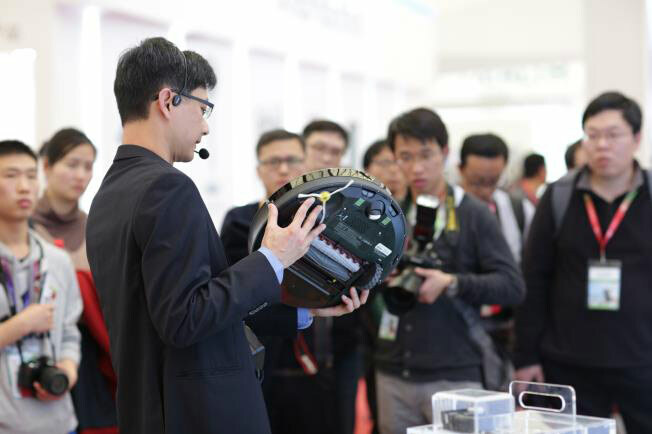 In this AWE 2015 Hope Expo in Shanghai, iRobot is showing a variety of intelligent sweeping robot products, live through demonstration so many viewers saw the practical effects of their products. A video from the PChome appliance channel reporting from the iRobot Booth at AWE. Robot sweepers have become increasingly popular in peoples’ lives. 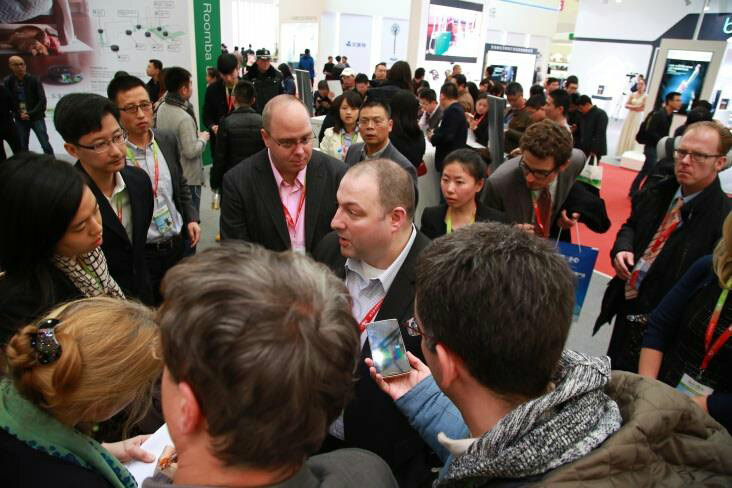 At the AWE exhibition in Shanghai, iRobot also ran a live demonstration of their Roomba 700 and 630. 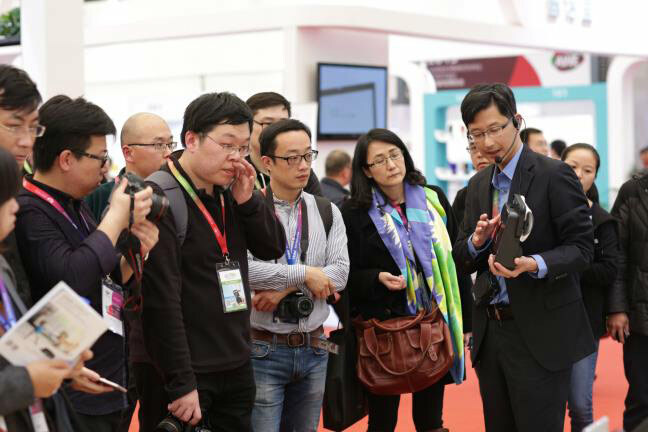 Many people stopped to watch the intelligent sweeping robot. 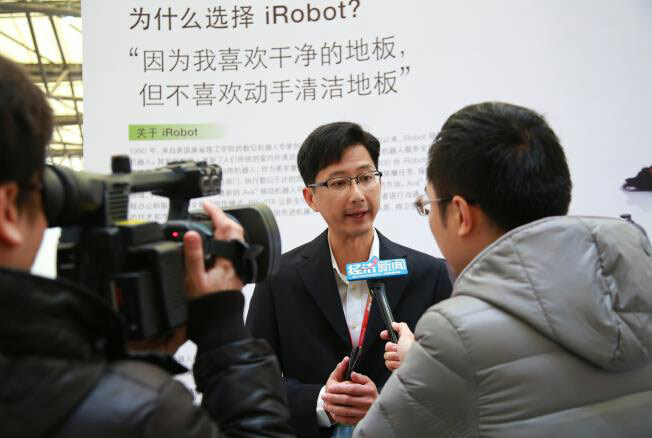 For a better understanding of the Roomba and Braava, we are honored to have Mr. Raymond Chong (Zhuang Jie) iRobot product manager for the Asia Pacific market.